It was a package that contained some letters between my paternal grandmother and out “Texas cousins’”. I go to pick up the mail today and there was another envelop with another 10 or so letters AND something I have not seen before. A poem written by my Grandfather. A couple amazing things about this Snail Mail package. First that I received another set of letter, and the poem, but the letter was written December 29, 1949 to his younger brother for his 60th birthday. He was born 12/29/1888. Now, Josiah, we called “Uncle Wistar” was a P.O.W. twice but HE wrote him while using poems as his way of telling the family how he was doing. So, I was not surprised at my Grandfather’s 8 pages, typed written poem about my grandparents visit to Uncle Wistar’s home. The title of the poem. I don’t know for sure who typed it up, as it might have been my mother, but the 8 page poem told the story of the trip my grandparents made to Texas. He told of how their children took them to the train station, how they were greeted in Texas and their return home. He mentioned many of the towns that they traveled through, what they could see from the train, it was just like we were there. No I don’t remember that they took that trip, but I would have been in school, but I do remember Wistar and his family visiting us, but now I heard of the visit to the Texas cousins. He wrote about the Thanksgiving dinner and their ventures while in Texas. And seen men die at his side. He was saved from a horrible death. My Grandfather and his “little” brother, The Colonel. One other “little” item in the envelop was something that I had forgotten about, but I’ll share it here. 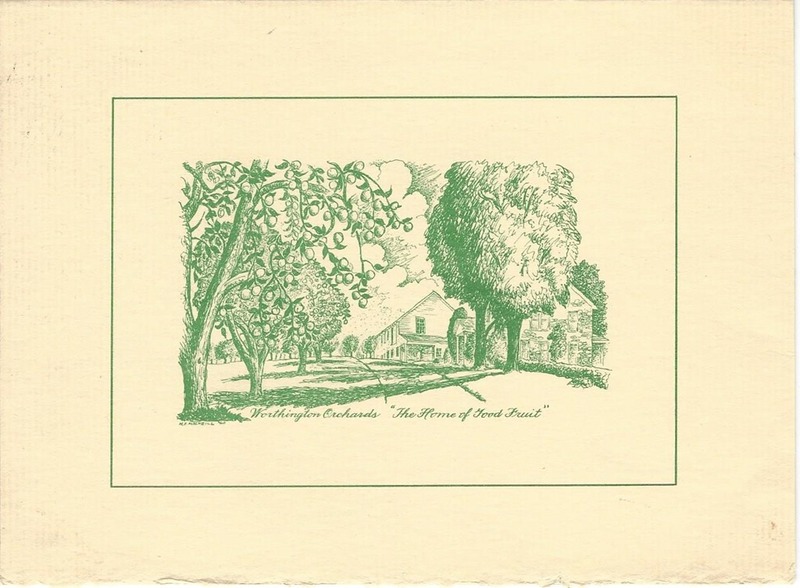 A Card that was used for the farm we lived on. More on that in another blog post. The trees on both sides of the drive way, we called “the lane”, the house on the right, and it’s still standing, and the “packing house” in the back. The “packing house” is where we took care of all of the fruit from the orchards, and also had a store in the front. That isn’t there anymore, it’s all housing. Better get back to my scanning and transcribing of these letters. Backing up a couple of days ago, but in the order in which I read this stack of letters, I finally opened this envelope. 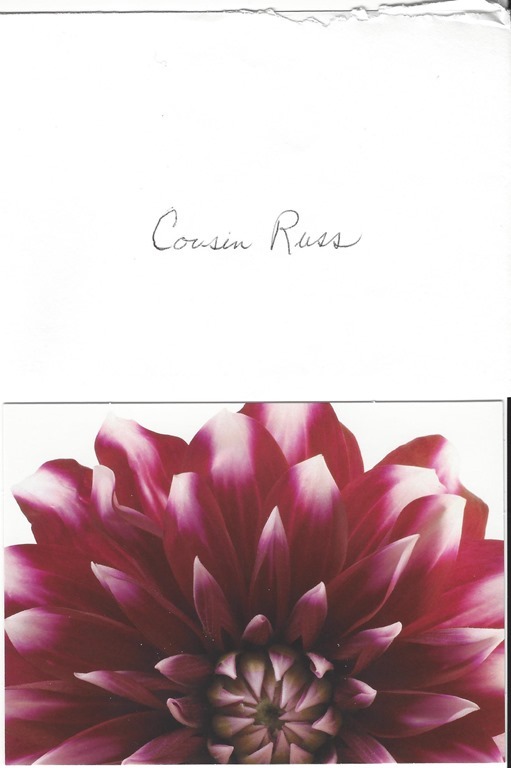 It may be difficult to read, but it is addressed to “Cousin Russ”. Two things about that, 1) If you are on Google+, I am sometimes called that, but 2) that is how some of these letters are addressed, that is to “Cousin ….” Mary, Jody and family, to me, have always been known as our Texas Cousins. Jody, Mary, and Frances do live in Texas, but the other brother, Will, lives in Arizona. Texas Cousins, none the less. In the letter / note, Mary said “After Jody’s mother Bernice died in September 1966, I became Aunt Polly’s penpal in her place”, that important, as the letter from Anna to Mary and Jody talked about their Aunt Polly, my Grandmother may not be able to write any more letters and that Anna, my Aunt Anna, would write as she could. My start in genealogy, now for me Family Research, started from my Texas Cousins, for which I am most grateful. Mary mentioned “There are also 2 letters from Anna and one from Eleanor. I just couldn’t bear to thrown them away.” Thank you Mary. I have a lot of info on the Texas Worthington who surveyed Texas in 1830s. I do not know how he died or where. He descends from Robert the Quaker in PA. Anyone have any information on this Texas Worthington? Is this Worthington bunch any relationship to the Samuel Worthington that was killed in Texas in the early 1830’s? Which “Worthington bunch” are you speaking of? I know and have researched at least 4 Worthington lines in the USA starting about 1650. This Blog is not about any one of them, I am a descendant of one of the 4. Please provide some additional information so that we can help you. If you are a reader of this blog and know of a Samuel Worthington who was killed in Texas in the early 1830’a, please post a reply to drenshaw1. 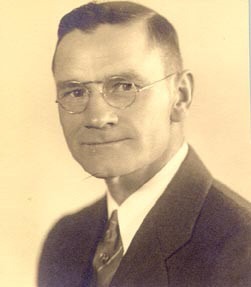 My Great-Grandfather left Oklahoma and settled in Lindale, Texas. His name was Issac Worthington, I believe. He was a peace officer of some kind in Oklahoma. Peace was in short supply those days in Oklahoma. He ended up killing a member of some gang. He knew if he stayed, the rest would kill him. That is when he moved to Texas. His Dad had moved to Oklahoma, from Tennessee. I am not sure, but I have heard that he was in the “Oklahoma land run”. His brother moved to California. When my Grandfather, William Shelby Worthington was getting on in years, a man & his wife drove up to their house, and told him that he was his cousin from California. He did not even know that his Dad had any siblings. Because of this, I have met a few of that branch of the family. I will have to look in my files. “Shelby” is a familiar name, but will have to look. Worthington-Elliot – Mary Worthington b: 8-18-1721 at Stonington Conn, at Killingworth, d. at Killingworth, Conn. on 6-28-1785, married 2-14-1745 to Aaron Elliot 3-15-1718 Killingworth, Conn d. Killingworth, 12-30-1785 Aaron Elliott appointed Judge of Probate Court District of Guilford, Conn. May 1779. Patticot – purchasing agent for supplies – Town clerk – Town Registrar. Judge of the Court of Probate for the District of Saybrook (now in Middesex C. Conn.) May 1781, the years insuing, also May 1781, Judge of the Court. Ref. Colonial Records of Conn. p. 223-225. He was Capt. Major and Colonel Militia companies in the French and Indian Wars, Vol I pages 201-202, Hist. Of Eastern Conn.